Citizens of the economically dynamic little island nation of Taiwan have been seriously discovering coffee over the last decade or so, as have people in many other Asian countries. This month we decided to review some of the specialty coffee production of Taiwan to share just a little of the intense explorations of fine coffee going on all over Asia. Japan, of course, has a longer coffee history than most East Asian societies owing to its kissaten, a long-established coffee house tradition. With most other East Asian societies, however, including Taiwan, coffee traditions have been created more or less whole over the past decade or so in an intense flurry of adaptation and exploration. In Taiwan, I am told, there are three segments to the coffee industry. First, the ubiquitous Starbucks. Second, swarms of convenience stores selling caffè lattes and cappuccinos produced on bean-to-cup machines from cheap Taiwanese-roasted coffee. Finally, the specialty sector, comprised on one hand of smallish quality-driven roasting companies of the style and size familiar to Americans, on the other by hundreds (an estimated 1,500 or so) of tiny shops roasting a kilo or less at a time of very high-end coffees to sell on a personalized basis to tiny clienteles of aficionados. I have not been to Taiwan recently, but I have been to Korea just this past month, and I imagine in Taiwan something roughly analogous to the coffee scene I witnessed in Seoul, Korea, where the big boulevards are lined with chain cafes, while secreted away on narrow side streets are tiny cafes where the owner is either bent over the miniscule trier of his tiny roasting machine, meticulously pulling shots from a high-end espresso machine, or producing coffee cup by custom cup using a passionately pursued personal variant of filter drip or vacuum brewing. Along with coffee, these tiny shops usually offer coffee education of a particularly devoted and almost academic commitment. It is the Taiwanese specialty milieu that we sample with this month’s article and reviews. Simon Hsieh, a leader in the Taiwanese coffee scene, helped organize an airlift of fifteen retail-roasted and packaged coffees from ten leading Taiwanese specialty roasters. Five of these coffees were from smallish but still substantial specialty roasting companies, including Simon’s Aroma Roast Coffee; the other ten were from tiny aficionado nano-roasters of the style I described earlier. All gave every indication of having been produced from exceptional, in some cases exceedingly expensive, green coffees. All were very carefully roasted. Over half attracted ratings of 92 or better; an impressive twelve of the fifteen rated 90 or better. Normally we avoid review articles that combine coffees intended for espresso brewing and coffees designed for non-espresso brewing, but we made an exception this month given the small number of samples and our aim to communicate as broad an overview as possible of the small but passionate Taiwanese specialty scene. Six coffees intended for non-espresso brewing are reviewed this month, together with six espressos. A combination of high price, rare coffee and high quality distinguished this month’s samples regardless of whether they were intended for espresso or drip brewing. Either the Taiwanese specialty coffee drinker is prepared to put his New Taiwanese Dollars where his palate is and pay very high prices for the best, or these roasters were putting their best coffee forward regardless of price. This month’s highest-rated coffee was both the most expensive and the rarest: an espresso crafted from the low-yielding, giant-beaned Maragogipe variety of Arabica, in this case grown in Kona, Hawaii, and processed by the exotic honey method. Given Kona is already one of the world’s most expensive coffees by region and Maragogipe is probably the world’s second most expensive variety of Arabica, it is no wonder that Simon Hsieh’s Aroma Roast Kona Maragogipe Honey Single-Origin Espresso (94) sells for, in dollar equivalent, over $100 per pound roasted. 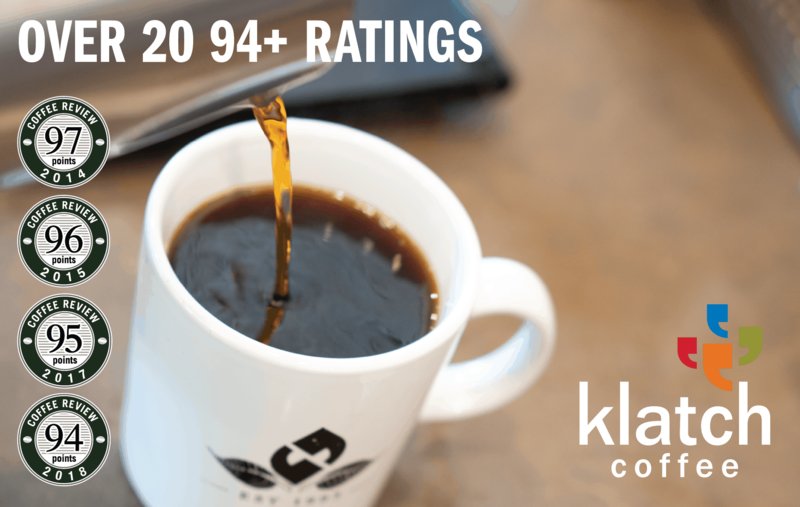 Almost as expensive and almost as high-rated is the Café de Impression Colombia La Esperanza Cerro Azul Geisha, 93-rated and priced at a little under $100 per pound. In this case a rare botanical variety drove the price; the Geisha (more properly Gesha) variety is the world’s most expensive coffee not processed through the intestines of an animal, and undoubtedly also the world’s most distinctive and recognizable in the cup. Other rare and expensive coffees turned up, including a coffee grown in Taiwan from Sumatra seed and skillfully processed by the honey method, the 93-rated Aroma Roast Taiwan Alishan Sumatra Honey. A vertically integrated Indonesian company that both imports and roasts Sulawesi coffee for the Taiwan market offered a startlingly pure version of the earth-and-fruit profile associated with Sulawesi (the Mega Agmist Sulawesi Toraja Peaberry, 93). There also was a svelte 92-rated Kenya (the Gavagai Kenya AA Gatomboya) and several fine, distinctively-crafted espresso blends in the 92 to 90 range. For those Taiwanese consumers on the lookout for a value, however, the only clear opportunity surfacing among this month’s reviews was the balanced, sturdy, but nicely complicated espresso blend from Lino Café that attracted a rating of 90 and sells in Taiwan for an equivalent of ten U.S. dollars per pound, an excellent cost-to-quality ratio anywhere in the world.